The Canon PowerShot A640 is equipped with a 10.0 Megapixel CCD sensor measuring 1/1.8in and delivering 4:3 aspect ratio images with a maximum resolution of 3648×2736 pixels. The A640’s sensor is physically the same size as the 7.1 Megapixel chip of its predecessor, so it’s interesting to compare its noise levels – see our Results pages. 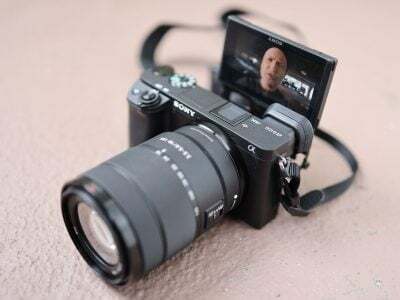 The A640 offers five lower resolutions (including one with a date stamp option) and the choice of three JPEG compression levels, although there’s no RAW facility. Best quality JPEGs typically measure between 2 and 6MB each, with most working out between 3 and 5MB. Depending on your region and supplier, the A640 is normally bundled with a 32MB SD memory card, although given you’ll only squeeze on less than ten pictures using the best quality settings, you’ll want to upgrade to a bigger card straightaway. While many compacts only offer rudimentary control over aperture and shutter, or avoid it completely, the A640 boasts a full range of exposure control. It also doesn’t get your hopes up only to let you down with just two or three settings. In Aperture Priority mode at wide angle, you can select no fewer than ten positions from f2.8 to f8, while Shutter Speeds range from 15 seconds to 1/2500, again in one-third stop increments – although like many compacts the fastest shutter speeds are only offered at smaller apertures. 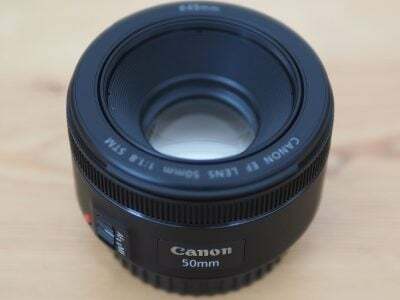 For example the top 1/2500 speed is only available from f5 to f8, while the fastest shutter at f2.8 is 1/1250. That said, the sheer range of exposure settings and controls (which of course also include exposure compensation) are what makes the A640 stand out from the crowd. It can be fully-automatic or let you adjust to your heart’s content. As such it’s equally ideal for beginners who want to grow, or for DSLR owners who are after a compact with full creative control. For those who prefer an easy life, there’s the choice of 11 scene presets consisting of Portrait, Landscape, Night Scene, Night Snapshot, Kids and Pets, Indoor, Foliage, Snow, Beach, Fireworks and Underwater. The first three have dedicated positions on the mode dial, with the others accessible by turning the dial to SCN, then choosing the desired preset on the screen. Two further options accessible via the SCN mode are the Colour Accent and Colour swap special effects described on the last page. The A640’s sensitivity ranges between 80 and 800 ISO, a jump from the earlier A620’s 50 to 400 ISO range. Two Auto options are also offered, one limiting the maximum sensitivity and the other ‘High ISO Auto’ option selecting the highest sensitivities where necessary to avoid camera shake; see our results pages to compare the A640’s noise performance. White balance can be set to Automatic, Daylight, Cloudy, Tungsten, Fluorescent, Fluorescent H (daylight type), Underwater, or custom measured from a neutral white target. With the main mode dial set to the movie camera icon, you can record video clips with sound in Motion JPEG AVI format. Like its predecessor, the A640 offers the choice of VGA 640×480 or QVGA 320×240 pixel resolutions, and at either 15 or 30fps. VGA movies at 30fps are very smooth and look great whether played back on a computer screen or a TV set; the sound like most compacts is pretty basic though. You’re looking at around 1.6 to 1.8MB per second in the VGA 30fps mode, and since the A640 restricts maximum file sizes to 1GB, best quality clips are limited to about nine or ten minutes – this should be more than enough for most video recording applications with a compact camera though and if you need longer recording times, you could always reduce the resolution or frame rate. 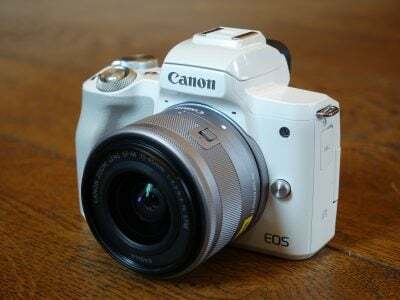 The Canon A640 handles well for a compact which extends its lens, starting-up or shutting down in just over a second. Auto focus was also quick and accurate in tests with little searching. The A640 has a continuous shooting mode rated at 1.5 shots per second – a fraction slower than the 1.8 shot per second spec of the A630. We fired-off seven best-quality JPEGs in Large Fine mode in five seconds before the camera paused slightly. This equates to 1.4fps, which is close to Canon’s spec. The A640 seemed happy to keep firing until the card was full, although after the initial burst of seven frames, slowed to just over one frame per second.